The meaning of Kai-Syuan in Chinese is “VICTORY” and our school’s name encourages us to move forward. 1. Practice sound teaching strategies. 2. Create a happy learning environment. 3. Form an excellent teaching team. 4. Cultivate an innovative educational community. 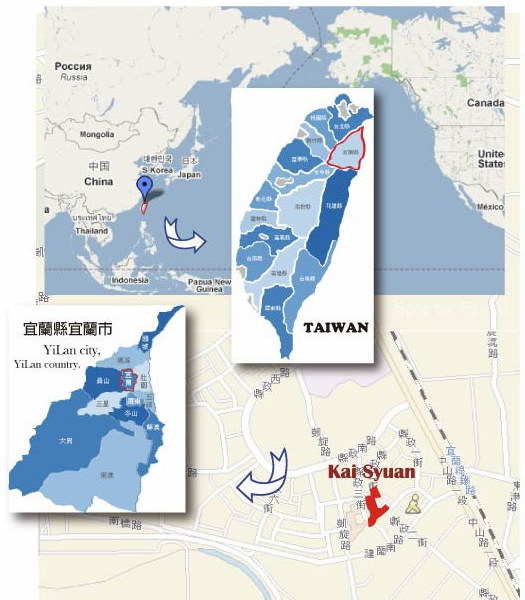 Our school is situated within walking distance to the Yi-lan County Hall，and the address is No.130, Kai-Syuan Rd., Yi-lan City, Yi-lan County 26060, Taiwan (R.O.C). Our school is near the Freeway NO.5, TRA railway station, and Provincial Highway NO.9, it’s really convenient for every visitor to arrive KAI-SYUAN.